We are only two weeks into the weekly team rankings and the shakeups have already begun. Last week’s #1 Kitchener had a rough start to begin the week while London and Waterloo both had some quality games. Other teams such as Windsor and Huron-Perth had successful weekends while other squads had some games they wish to remove from their memory. Week two of the rankings has been a crazy one. I can only imagine what week three will bring us. London Jr. Knights (2) – London had just a single game last week, but did they ever make their presence known. A 12-2 victory over Lambton further solidified that this offence is a scary one. London now has three players with 19 points or more, giving them three of the four highest scoring players in the Alliance thus far. Waterloo Wolves (3) – The Wolves made a huge statement when they went into Kitchener and handled them for a 7-2 win. Mix that in with a win in Komoka and Waterloo is finding its stride early in the season. Windsor Jr. Spitfires (4) – Windsor had a 3-0 weekend that was capped off by a good performance in Cambridge Sunday afternoon. Windsor has quietly moved to the top of the league and is a threat to any team it plays. The big test comes this weekend with another three games, including two against top ranked London. Kitchener Jr. Rangers (1) – Kitchener is a big dropper this week after some disappointing results. Kitchener rebounded from their loss to Waterloo with a win over the Cyclones, but then followed it up with a flat performance against Huron-Perth. Point one for Kitchener going forward will be to get healthy, especially on the back end. Sun County Panthers (7) – The Panthers move their way into the top five and they are finally showing signs of the team that was near the top of the league in Bantam last year. Sun County takes on Lambton and Huron-Perth this weekend, with a chance to move above the 500 mark. Cambridge Hawks (6) – The Hawks stand pat in the six hole even with a disappointing loss to Windsor at home. Cambridge has been playing shorthanded as of late with injuries and a suspension to Jagger O’Toole not helping their cause. The Hawks travel to Sarnia on Friday for their lone game of the week. Elgin-Middlesex Chiefs (5) – The Chiefs struggled this weekend, going 0-2 in facing some tough defensive teams. Elgin has been in a state of flux, not being able to string together any sort of momentum with a winning streak. The Chiefs will look to repeat their performance from a week ago when they host the Jr. Knights on Saturday. Lambton Jr. Sting (10) – It’s hard to envision the Jr. Sting moving up two spots after allowing 12 goals on Saturday, but it was their other efforts that have bumped them up. Having allowed significantly more goals than any other team in the league, Lambton will need to shore things up defensively if they hope to stay in a playdown spot throughout the season. Hamilton Huskies (8) – It was a tale of two Huskies teams this past weekend. There was the team that shutout the Panthers. Then there was also the team that was shutout by the Lakers and downed by the Jr. Sting. While Lambton needs to work on defence, if Hamilton can find a groove on the offensive side, brighter days are in their future. Chatham-Kent Cyclones (9) – Watching the Cyclones on Saturday night, it’s hard to believe that the team has dropped five straight games. The Cyclones have one stop this weekend, in Waterloo where they look to avenge their loss at the Showcase to the Wolves. Huron-Perth Lakers (12) – The Lakers move up to number 11 thanks to impressive victories over Kitchener and Hamilton. While the wins may evolve into something more, the Lakers scored nearly half their goals on the season in those two wins and still sit at 11 goals for in 11 games. Brantford 99ers (11) – The 99ers continued to struggle this past weekend with two losses. Emotions may have gotten the best of Brantford at the end of their game with Cambridge last Thursday when a fight broke out. The 99ers have Kitchener and Elgin on their schedule this week with the hope that something with mesh on the ice. 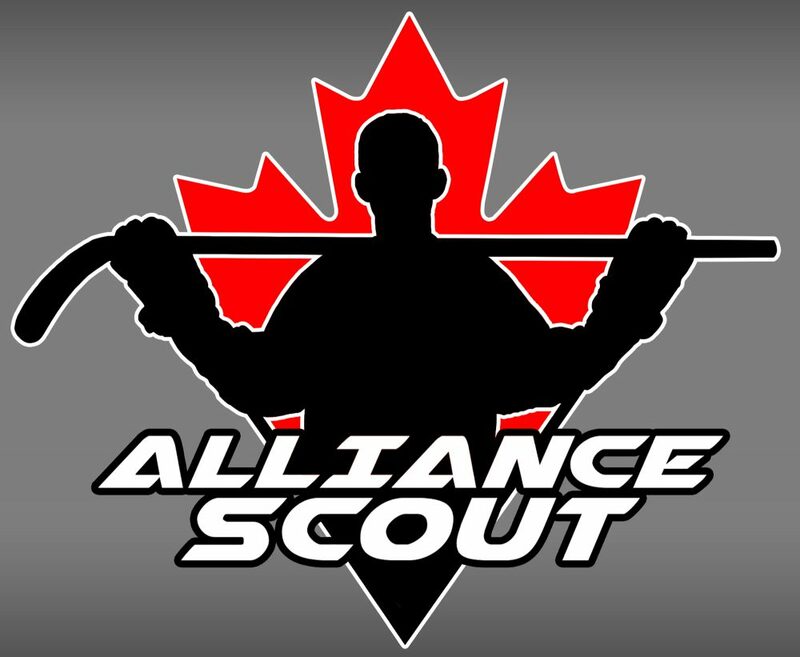 This entry was posted in Alliance Rankings, Brantford 99ers, Cambridge Hawks, Chatham-Kent Cyclones, Elgin-Middlesex Chiefs, Hamilton Huskies, Huron-Perth Lakers, Kitchener Jr. Rangers, Lambton Jr. Sting, London Jr. Knights, Sun County Panthers, Waterloo Wolves, Windsor Jr. Spitfires and tagged alliance scout, alliance scout rankings, alliance top 5, alliance top five, Brantford 99ers, cambridge hawks, Chatham-Kent Cyclones, elgin-middlesex chiefs, hamilton huskies, huron-perth lakers, jagger o'toole, Kitchener Jr. Rangers, lambton jr. sting, london jr. knights, sun county panthers, waterloo wolves, windsor jr. spitfires by Dave Coulson. Bookmark the permalink.